C&CC founded in 1999 as an Egyptian owned, based and managing surveillance systems to serve improve security solutions. 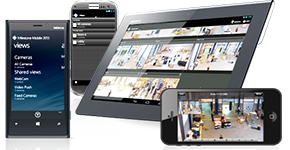 C&CC’s product portfolio focuses on digital video surveillance, developing the concept of live and playback video by utilizing the high resolution picture available in marketplace. In C&CC we believe in business partnership, so our clients are a part of our success, history, and the future,, so we insist to make the future much easier to our partners by saving their investment, time, and efforts. Providing consultation rather quotation, and solutions over materials,, our solutions are always widely opened for integration with other manufacturer. To help users to make the right decision implementing solutions for tomorrow,, driving the convergence of professional solutions that maintain expandability and easy integration. High caliber and will trained engineering department, cooperatively works with partners and clients in homogenous network to guarantee easier, safer, and flexible operations.